With work, school, blogging and everything else it’s often hard to have quality time with the children – at the same time. This month we have had so much time together and the children have loved making crafts and baking. 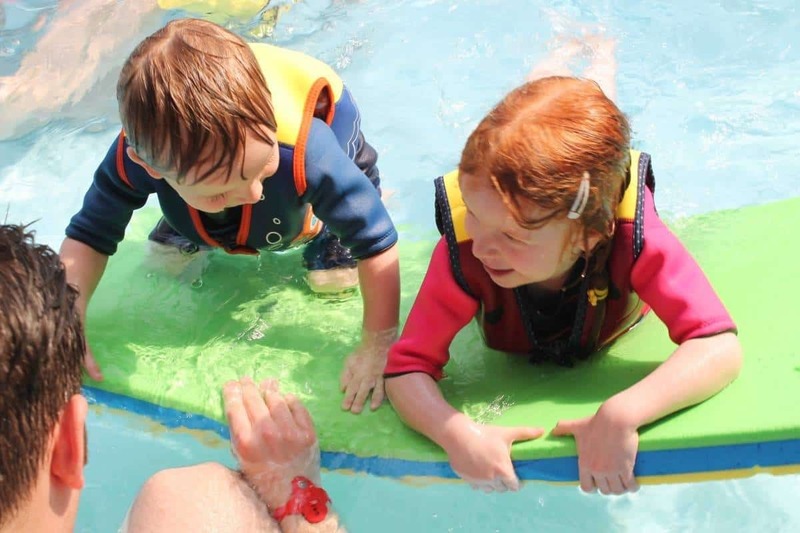 We also spent a weekend at Alton Towers which gave us such a great amount of family time and it was lovely to see how well the children got on together – as well as what a great time they had too! We went to Disney on Ice with the children too and this has to be a highlight of their year so far. They absolutely loved it and I can’t wait to take them again in the future. The last part of time with the children is all about 2p machines. They are one big love of mine when we go anywhere and I love introducing the children to the pastime too. 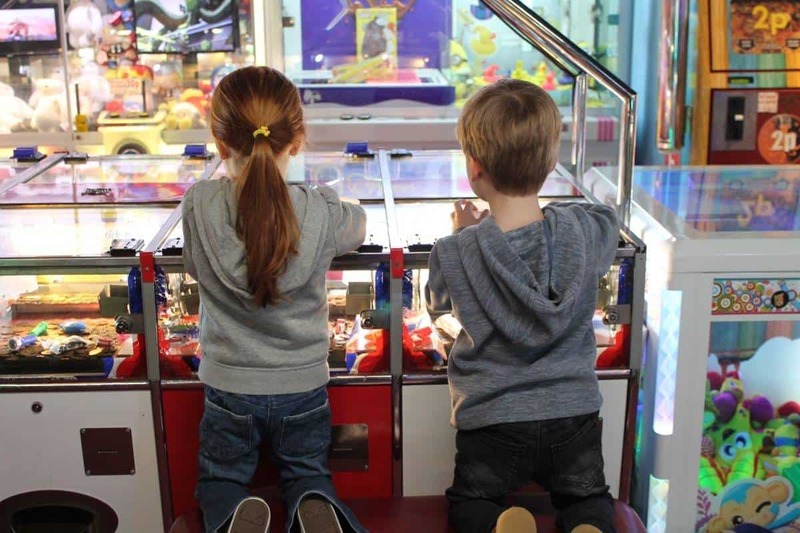 LP and Little Man loved playing on 2p machines whilst we were away – although we didn’t win any plastic tat from them this time. My bestie and I have started a new thing. We have a big Next store close to us that is open until 10pm and has a Costa in it. We have decided to visit there regularly for hot chocolate, a good catch up and a shopping fix too. I’d recommend this to anyone who doesn’t see their friends as often as they would like. 3 – LP Growing So Fast! Last week LP had her very first school disco and it has made me realise just how fast she is growing. Soon she’ll be having friends round for dinner, sleepovers and everything else. 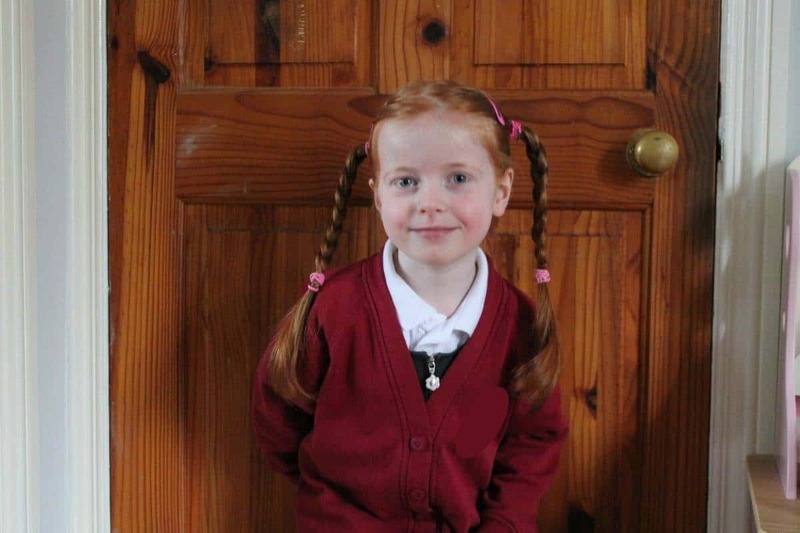 She has already had a letter home about her first school coach trip – she’ll be a teenager before I know it! 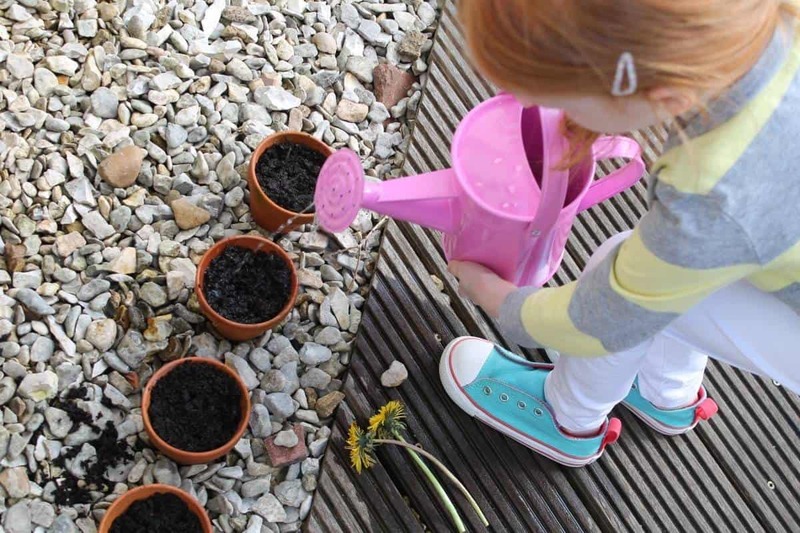 I have started to get back into gardening this month with the brighter weather and the children have loved helping me in the garden too. We have started tidying up the vegetable patches and pruning back last year’s strawberry plants ready for the new season. I can’t wait for a summer full of home grown fruit again! Getting a new mattress is like getting a whole new bed and this month we have enjoyed sleeping on a mattress that isn’t as old as our marriage! 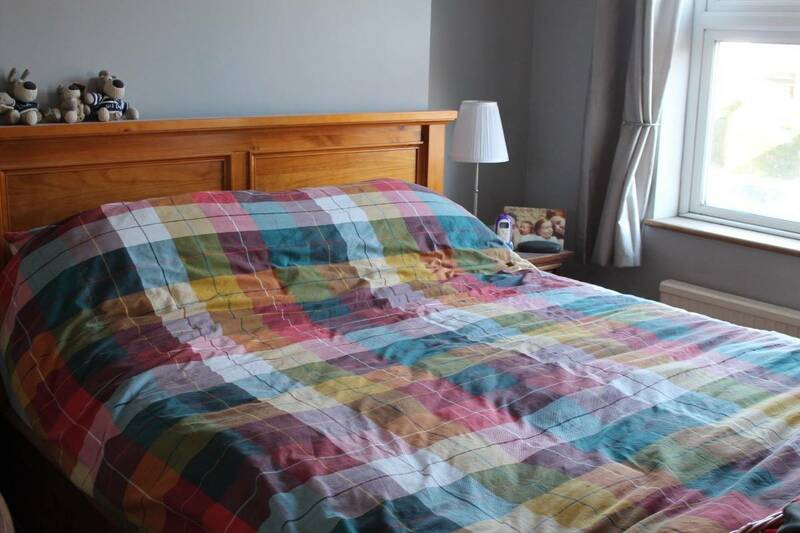 I hadn’t fully appreciated how lovely a new mattress would be and having one is just pure heaven! This month I have got back into running thanks to a little challenge. It has been so nice to get outside, to feel healthier and to get into a bit of a fitness routine. It’s also great to have some ‘me time’ which doesn’t happen often. Brunch is easily my favourite meal of the day but one we don’t have often. You can’t easily have breakfast, brunch and lunch so brunch is often forgotten. Little Man and I went into London earlier this month for a lovely blogging brunch and it has definitely made me make time for brunch in future. For me, there is no indulgence quite like peanut butter on toast. It’s something I have for breakfast, for lunch, in the evening or any other time when I’m feeling peckish. Crunchy or smooth? Crunchy every, single, time! This month we have had a few meals out – we went to review Harvester and has one of the best family meals we have ever had. The food was great and it was just such a lovely atmosphere with the children. 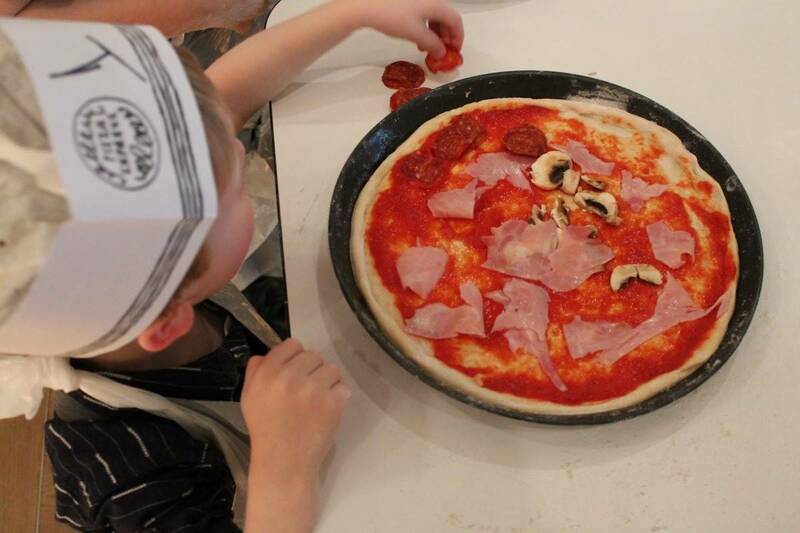 We also had a pizza making party with Pizza Express that the children loved – Little Man couldn’t have been happier making his own pizza and it was such a lovely experience for the children – especially getting to eat it after! We also had a meal at Handmade Burger Co which was lovely! Little Man only ate corn on the cob – his favourite thing in the world – but the rest of us filled up on burgers and chips a plenty! If you go I would recommend their Sunday lunch burgers, not just on a Sunday. They have roast style burgers served in two Yorkshire puddings instead of a traditional bun. The lamb one I had was immense! I made lamb stew this month for the first time in maybe forever. It tasted just like meals from my childhood and may well be my new favourite home cooked meal. 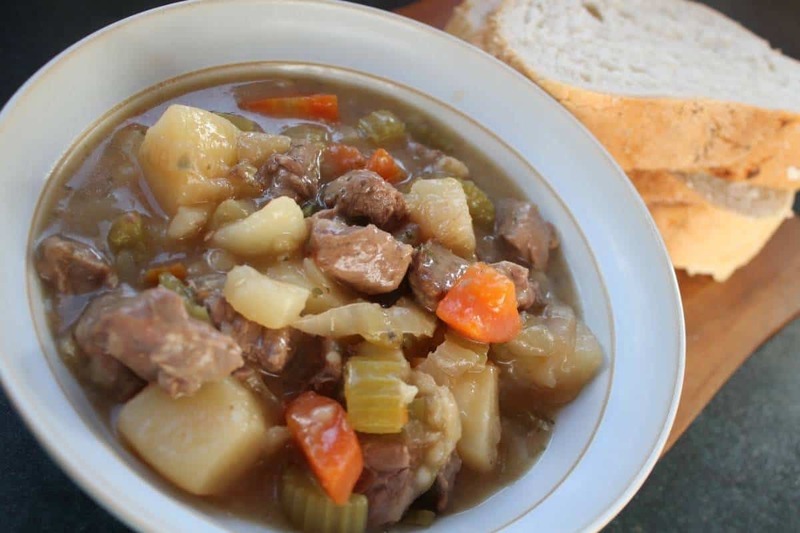 A big bowl of hearty goodness served with crusty break. What’s not to love? You can read more of what people having been loving lately over on Stevie’s Ten Things linky. I’d love to hear what you’ve been loving this month! I’m loving the evening hot chocolate idea! Running would be on my list too. Great round up! It’s my first time taking part in #TenThings! What a fab linky! Love the baking shot of A and T! So lovely! Noah loves to bake too!